ICAST 2016 is finally in the books and it was an amazing show. Whoever coined the term “Christmas in July” definitely had anglers in mind, because ICAST is like Christmas IN July for us. You name it and it was there! From new kayaks to new rods and reels to new tackle and lures. It was all represented extremely well, and then some. Here’s a quick look at what really caught our eye at ICAST 2016. Kayaks are understandably our forte and what we really get excited about, and this year’s ICAST 2016 definitely did not disappoint! In fact there were 2 kayaks that I was enamored with this year. Now don’t get me wrong, I’m no different than the rest of you, because I’d love to simply say I’ll take one of each. There was simply so much to see, and it’s like being a kid in a candy store walking up and down the aisles of the ICAST 2016 show. Here’s a few items that definitely caught our eye, and have already been added to our personal “wish list”. I have to admit that the Perception Pilot was easily one of my favorites of the ICAST 2016 show. Not only was there a pedal driven kayak introduced to the kayak community that was under $2000, but the Pilot did not skimp out on the features. Anglers who’ve been wanting a pedal yak, but simply couldn’t afford the hefty price will now be rewarded with the ability to pedal vs. paddle with the Pilot. The Pilot features plenty of tracks for your accessories, the ability to stand, and a recessed area if you want to add on the Power Pole Micro anchor system. 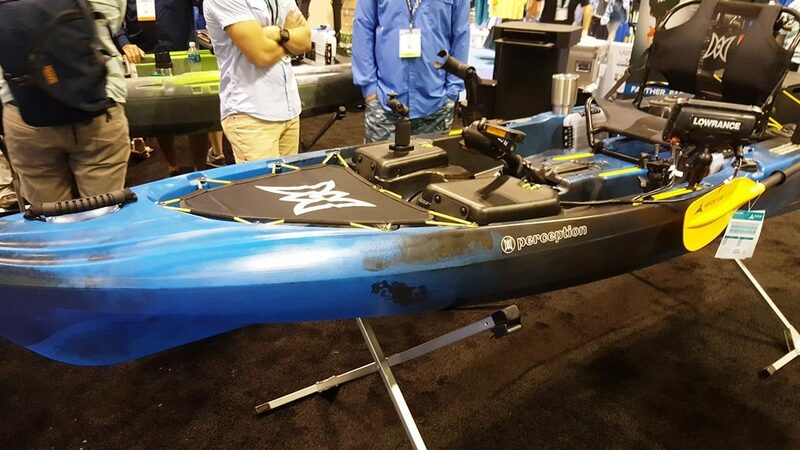 This kayak is definitely on my “want” list, and we only have to wait until December 2016 to get it. There was just something about the Jackson Kayak Mayfly that simply spoke to me. The message was simple and clear… you’d have some fun fishing from me. While everyone else was coming out with pedal drive kayaks, Jackson stayed true to its traditional roots with the Mayfly. While it’s perfect for fly anglers, this kayak could be great for any angler who wants a clean platform to stand up and sight cast their favorite fish. 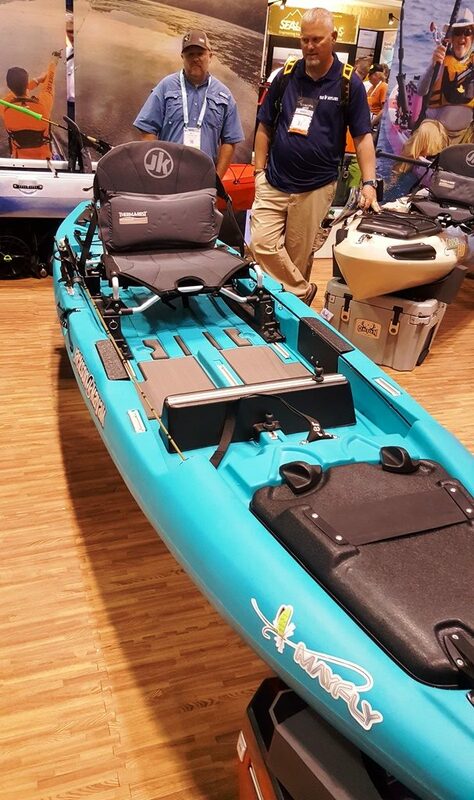 I cannot wait for this kayak to hit the market, because I can definitely see myself poling around some flats on a floodtide looking for some tailing redfish. I honestly did not know much about Livingston Lures before this year’s ICAST 2016 show. 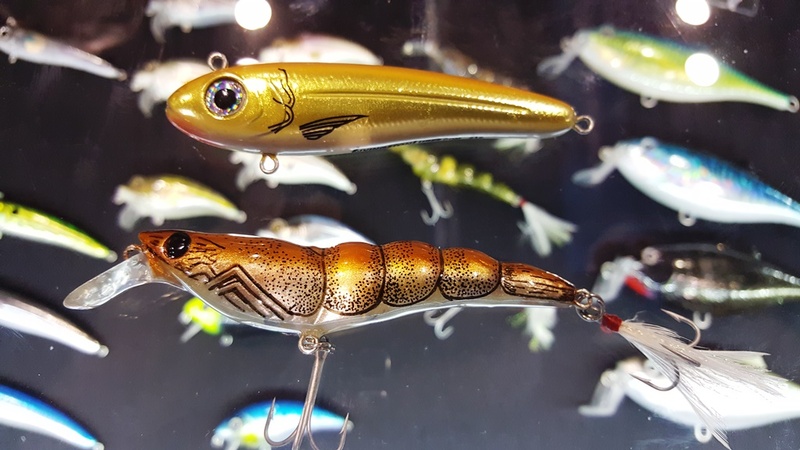 I actually went by the booth because one of our readers asked me to swing by their booth to check out their new selection of saltwater lures. 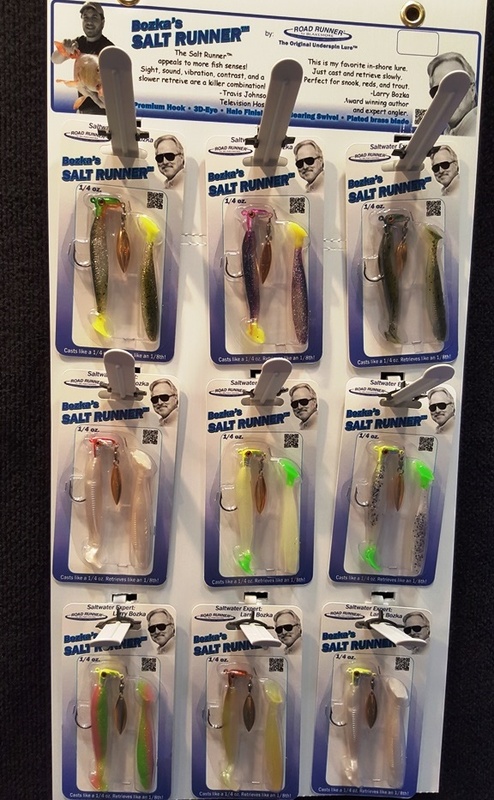 Many thanks goes out to the reader, Daniel, because I was blown away by the quality and technology that went into the Livingston Lures. Livingston features a small chip in their lures which gives off vibrations to imitate bait fish in distress. How perfect and awesome is that! I was introduced to the Road Runner jigheads earlier this year and immediately fell in love with them. Personally, I prefer throwing soft plastics… paddle tails, jerk baits, shrimp plastics, etc. I added the Road Runner jigheads to add a little flash and extra something to my lures, and they’ve been great. While Road Runner has had jigheads and plastics paired together for panfish, etc., this year they’ve added a new line for saltwater anglers. These new lures will soon be a mainstay in my tackle bag. Have you ever picked up a fishing rod and had your jaw drop to the floor? Perhaps not, but it definitely would have with the Summit rod from Favorite USA! The Summit rod is literally THE lightest rod that I have ever held in my fishing life, weighing in at a ridiculous 1.9oz! No, that is not a typo, this rod is literally that light! I was so enamored by the Summit rod that I told everyone that I spoke to during ICAST to go check it out. SICK, is one word that I commonly heard to describe the Summit rod. 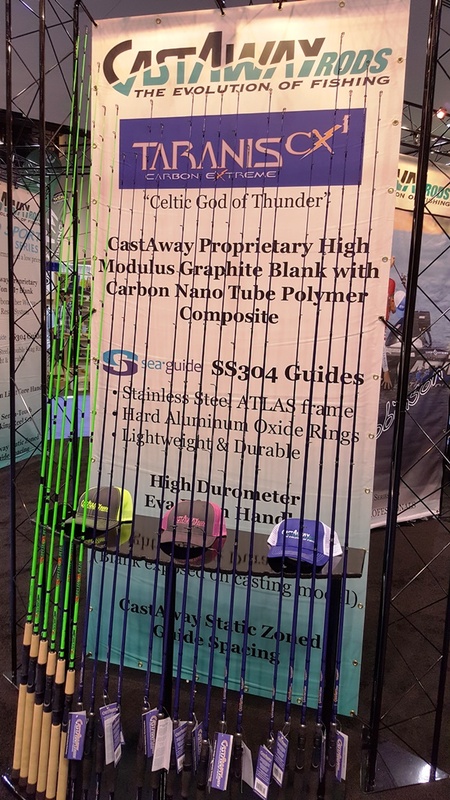 I’d heard of Castaway Rods for some time, but had never actually “see” them until this year’s ICAST show. A good friend of mine had always spoke highly of Castaway Rods an they were a great sponsor for his Lone Star Kayak Series tournaments held in the Houston area. Actually the good folks at Castaway, Kelly & Arlene, were one of the first that we met and spoke with while attending ICAST. We were given the full tour of Castaway’s line up, and also attended a press conference given by Mac, Castaway’s owner. Castaway offers a great line of rods for every angler, including the ladies with 2 styles of their own. I can tell you that I WILL have a few Castaway rods in my arsenal, not only because their rods felt great, but also due to the mantra of Castaway… Family! These folks simply give off a great vibe of looking out for their customers and building quality products, and how can you not love and support that! I can go on and on with this list, because, well let’s face it, we’re anglers and we all have that addiction when it comes to new fishing gear. There was so many great new products for the angler at this year’s ICAST show. We’ll have full extensive coverage of this year’s ICAST show, so be on the lookout!